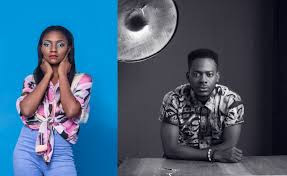 Despite several denials from Singers Simi and Adekunle Gold, they keep giving us credence to the fact that they are a couple but are just keeping things hush hush. 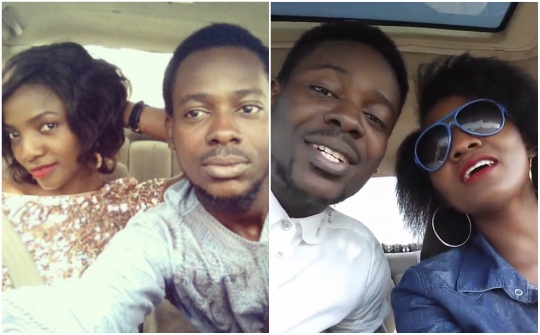 Recall that Adekunle went on a radio programme last year October to say he was single and searching and even asked the radio host to organise a search for him as he wanted love. Whether he was joking or serious is what remains to be seen. But today is Simi’s birthday and she took to her instagram page to pen down a heartfelt note. “Happy birthday Simisola Bolatito Adeola Opeyemi Oreoluwa Ogunleye,” the singer began the note with her full name, looking back at how far she has come. 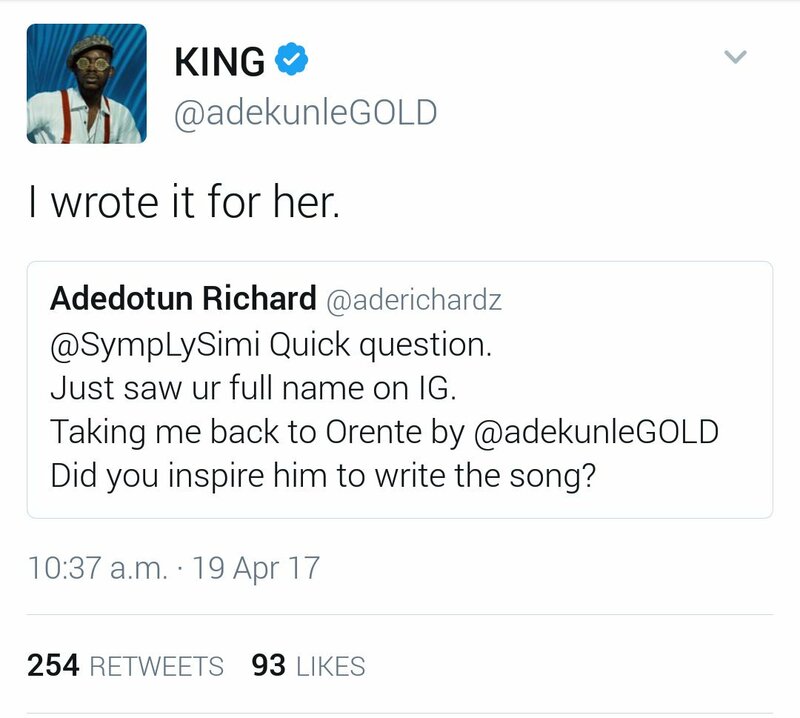 Later on, a fan drew similarities between the singer’s full name and the lines from Adekunle Gold’s love song, ‘Orente’. E ba mi ki orente!!! 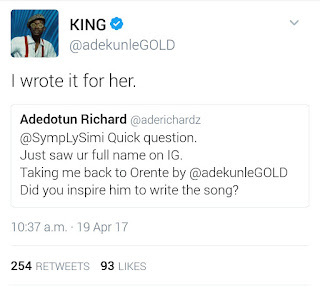 Curious by the names sprinkled in the song, which were obviously taken from the female singer’s names, the fan tweeted at Adekunle Gold and asked if she was the inspiration behind ‘Orente’.